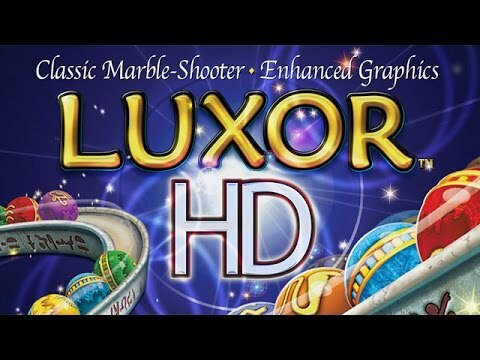 "I had been playing an older version of Luxor on my previous computer and had to upgrade to HD when I got a new computer. I had pretty much mastered the old Luxor but find the new version challenging and quite interesting with the new graphics and interface. Minor changes to the execution of the various stages of the game keeps me on my toes. It's like an old friend with a lot of interesting surprises. I'm quite satisfied." Answer the call of the goddess, Isis, in this addictive marble-shooter game. Chains of colored spheres are working their way through ancient Egypt, and it's up to you to stop them before they reach the pyramids. To help you in your quest, fireballs and lightning bolts will fall from the sky. Use them to create thrilling special effects as they aid you along your journey.